On this date in 2005, Kenneth Taylor, author of The Living Bible, died at the age of 88. Taylor, the father of ten children, was burdened that his children couldn’t understand the King James Version of the Bible. So he began work on a paraphrase, using the KJV and the American Standard Version as his texts. He began with the Epistles, and released Living Letters in 1962. Since no established publisher would accept his manuscript, he started his own company. He named it Tyndale House Publishers after William Tyndale, the martyr who first translated the Bible into English. Living Letters was followed by Living Prophecies (1964), Living Gospels (1967), and other portions of the Bible. 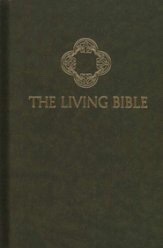 Finally The Living Bible, complete with its distinctive green cover, was published in July 1971. Millions of readers loved it, and by 1974 it accounted for 46 percent of U.S. Bible sales. Even as late as 1977 it still outsold other versions. I turn my nose up at The Living Bible and say things like, “Well, it’s not a translation. It’s a paraphrase of another English translation, which wasn’t all that accurate to begin with.” I’ve pointed out that Taylor’s ThD was not in Greek or Hebrew. But what I forget is that The Living Bible’s publication in 1971 coincides with when I learned to read. 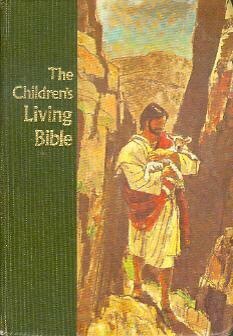 The first Bible I remember owning was The Children’s Living Bible. I devoured it. 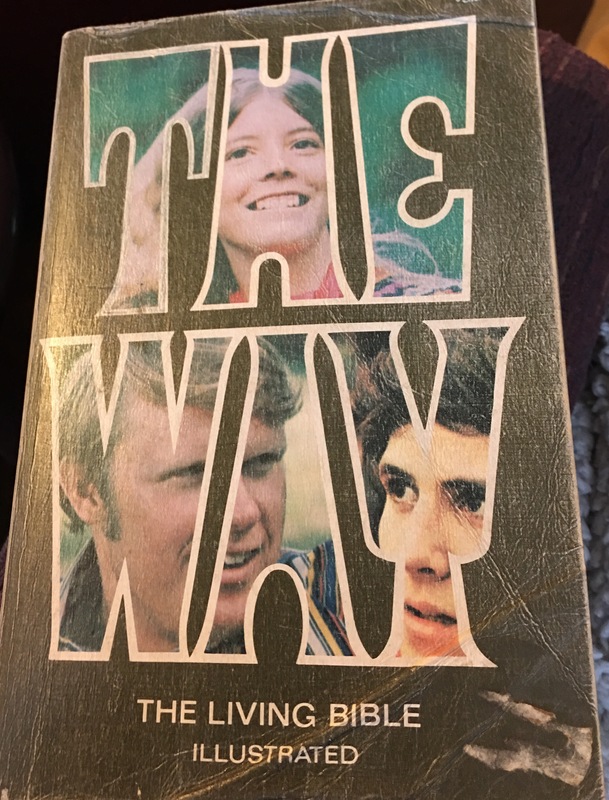 That was followed by my sister’s copy of The Way, which I still have. My point is that it never occurred to me that the Bible wouldn’t be easy to understand. Because of Kenneth Taylor’s boldness, vision, and dedication, I grew up loving God’s Word. As a pastor I’m often asked which translation of the Bible is “best.” My answer: the one you’ll read. Because the most scholarly, literal, accurate translation of the Scripture that sits on your shelf is inferior to the most basic paraphrase that you hide in your heart. Fun read. If you still have your original Living Bible, check out 1 Samuel 20:30. 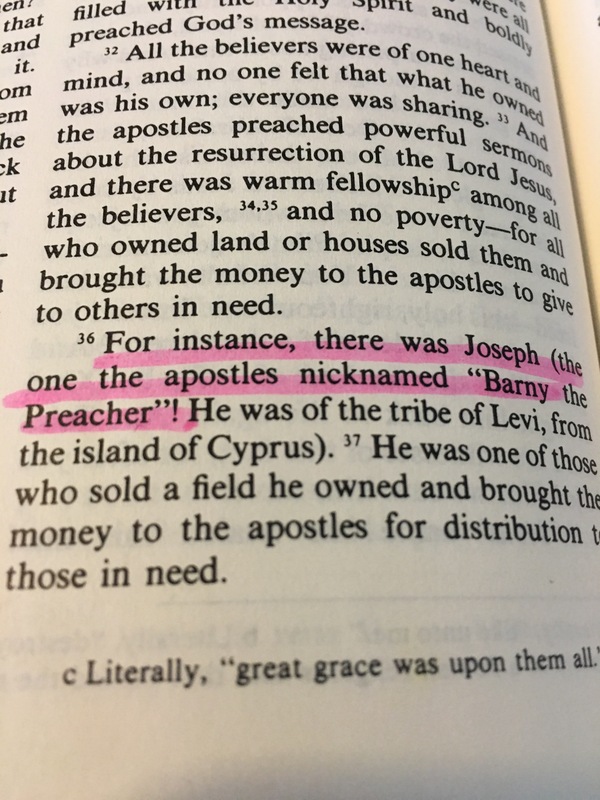 Tyndale House changed it pretty quickly, but in the early editions, Saul called his son a S.O.B. Yep! My copy of the green monster has that jewel.